The word “lean” is everywhere these days. Lean processes, lean startups. While Eric Ries, author of The Lean Startup, has arguably become the face of this movement, its philosophy is largely based on something called the Business Model Canvas— a tool developed by author and entrepreneur Alexander Osterwalder and Swiss academic Yves Pigneur. Extremely simple in its design, the Business Model Canvas empowers entrepreneurs to create, visualize and test business models without wasting capital or overcomplicating their approach. Today, it’s used by startups to break new ground, as well as massive companies like GE, P&G and 3M to explore new models and keep up with the competition. It’s also the core of the book Business Model Generation (co-authored by Osterwalder and Pigneur), which has sold over a million copies in 30 languages. At Stanford's Entrepreneurship Corner, Osterwalder — joined by lean evangelist Steve Blank — demonstrated the value of the Business Model Canvas for startups: How they can use it to generate ideas, de-risk guesses, and make sure they are solving the right problems for the right people. Below, learn how one sheet of paper can help your company find and hold on to product/market fit. “It’s said that no business plan survives its first contact with customers,” says Osterwalder. “As soon as it’s out there, the first thing you want to do is burn it, and you feel like you wasted all this time.” The Business Model Canvas was partially born out of this need to create more flexible plans that could be tested and changed quickly to meet customer needs. Most importantly, it standardizes the elements of business models and turns them into modules that predictably interact with and influence one another. “When I ask the question, ‘What is a business model?’ I get different answers everywhere I go,” Osterwalder says. “There are as many answers as people in the room even though it’s a word we all use a lot — some think profit, others product, technology, process, strategy, sales channels. We would have a better discussion if we all agreed on what a business model is.” The Canvas creates this shared language and makes it visual to achieve clarity. You can access the first 70 pages of the book where the canvas is described in detail for free here. According to Steve Blank, the Business Model Canvas is all about breaking your business down into untested hypotheses. In each block, you can ask yourself — is what I believe to be true actually going to prove itself out? Are these customers who I should be serving? Is this a product they actually want? Is this the optimal way to get the product to them? Will they pay this amount to access it? The canvas gives you a systematic way to organize guesses so that they can be researched and tested. Osterwalder recommends drawing out the canvas big, ideally on a large wall or whiteboard so that you have a lot of space to think and experiment. Once you have this, you should borrow from design thinking and use Post-it Notes to fill in the various blocks. Why Post-Its? Because the Canvas is all about moving things around to see what will work best. “For every building block in the canvas, you want to start filling in ideas,” he says. “For example, you want one Post-It for every customer segment you might serve, and you want Post-Its for every type of value you might be able to create for each of these segments in the value proposition block.” In the channels block, you might have Post-Its for anything from the App Store to trucking routes. For key resources, you might have engineers, brand recognition, inventory, etc. The goal is to roughly sketch out what you want to do and what you have in your arsenal to accomplish it. To illustrate use of the Business Model Canvas, he cites choices made by prominent Nestle brand Nespresso. The company is known for making sleek, portable coffee makers for general consumers, as well as flavored coffee “capsules” that you can place in the machines for rapid, mess-free brewing. While selling the machines represents a revenue stream for the company, most of it goes to the machine manufacturers, Osterwalder explains. Instead, Nespresso makes the bulk of its profit on the high-margin capsules, which it had patented and produces itself. 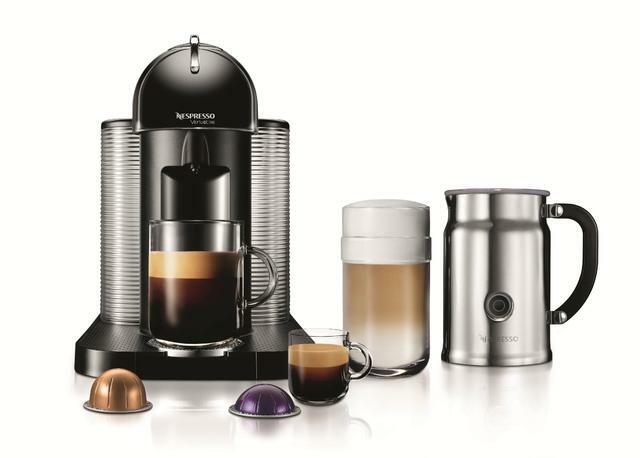 Once you have the machine, you have to keep coming back to Nespresso over and over again to purchase the capsules. That’s the type of customer relationship they wanted: One where consumers are happily locked into the brand. In this case, the patented capsules were a key resource representing a recurring revenue stream for the business (Nespresso lost its patent last November but remains the market incumbent). If the company hadn’t recognized the capsules as the primary driver of revenue, it might not have placed as much emphasis on making them proprietary, other companies could have started making them sooner. Nespresso also wouldn’t have been able to see how valuable its consumer-facing business could be. Accustomed to providing pallets of product to retailers, the company had to consider the costs of packaging and distributing capsules for individual shoppers and households. The Canvas proved that it was worth it. “Once you determine the logistics that it takes to get small boxes into households, you can very quickly figure out the cost structure you need to make that profitable,” says Osterwalder. The cost structure block should contain the costs of your activities so you know what to charge to build a healthy business. Before implementing this business model, Nespresso focused on the value created by selling the machines. In particular, they wanted to sell them to offices — that was the customer segment they wanted most. But a few things didn’t work. First and foremost, offices weren’t interested in buying the machines, so that segment was a bust. Second, the sales channels they thought would work best didn’t gain traction. What they did have was one key resource: a bunch of machines they had already made. This resource forced them to pivot toward marketing the capsules more aggressively to household consumers. “When you look at the Canvas, think of the right-hand side as being totally related to the customer. Then on the left-hand side you have the back-end that enables you to reach this customer. It’s a duality. They must mirror each other,” Osterwalder says. As entrepreneur and teacher Steve Blank sees it — at its most basic — the Business Model Canvas is a checklist. It makes sure you’ve considered everything that is critical to making your business operate successfully. When you populate it, it’s easy to spot glaring holes in your logic or clarify why something won’t work. “At the end of the equation, you want to fill the boxes so that your revenues are bigger than your costs.” That’s the first level. But Blank argues that there are several levels to the Business Model Canvas that must be considered. “The second level is when you truly understand the connections between the different boxes,” he says. If you have a Canvas covered in Post-Its, you might understand what’s going on, but your stakeholders and other audiences won’t. Your understanding of how it all fits together might also be limited, Blank says. Blank advises startups to not only map out their own strategy using the Canvas tool, but to also sketch out what other winning companies have done in the past. Introducing the element of time elevates the canvas model even further. Businesses evolve. Different resources and activities are needed at different times. Customer segments that were once robust may begin wane. You might lose a patent. Your model has to be just as pliable. Using the Canvas, you can create an array of alternative moves and ideas that will work at different times. Blank refers to each of these snapshots as scorecards. 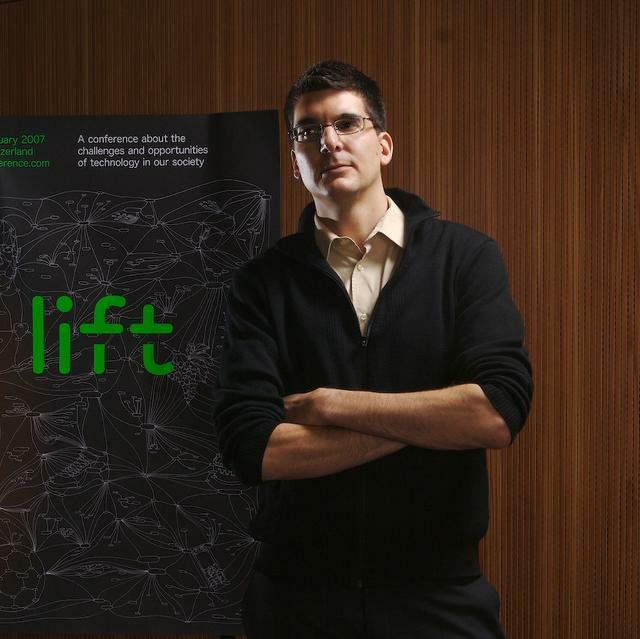 Alex Osterwalder spends his time speaking, writing and advising. Today, he is also the co-founder of Strategyzer, a company that produces digital tools to help entrepreneurs define their business models. He earned his PhD in management information systems from the University of Lausanne in Switzerland. He tweets at @AlexOsterwalder. 1) Use Post-Its on the Canvas to sketch out your basic business model using your best guesses — your best hypothesis of what will work, Osterwalder says. 2) To dig deeper, ask: “What are the underlying hypotheses of every one of the boxes on this Canvas? Select which ones are the most important to make everything else work.” What is critical to bumping revenue up above costs? 3) Over time, think about what you will have to do next to keep these prioritized boxes growing and moving in the right direction. 4) Design tests for your hypotheses. “Most startups will have constructed a business model out of a series of untested guesses, so you need experiments to actually test them,” says Osterwalder. The best way to do this is to estimate figures for each module, including how big your customer segments are, how much they will be willing to pay, how much your overhead will cost, and how much revenue you can pull in over time (research or preliminary user testing can supply a lot of this information). While these steps are extremely relevant to startups that are just beginning to articulate what they want to do and how they plan to turn it into a business, the Canvas tool can guide corporate strategy too. “At larger companies, the existing business model is more of a continuum, but you can use a Canvas to improve it,” says Osterwalder. “Innovation might be more incremental, but every large company needs to come up with new models and be able to play around with them.” The Business Model Canvas should be used to fuel new ideas and implementations at businesses big and small. That said, there’s a hitch that comes along with scale. As processes and protocols become more ingrained at your company, there’s a tendency to focus increasingly on cost structures. Eventually, you end up with a lot of people trying to lock down plans and budgets. Their eyes are trained on success, and they become very resistent to failure. All of this experimenting can sound expensive, but if you add ballpark numbers into you canvas — and tap into new prototyping technologies — you can test models and how feasible they are without actually deploying. To help companies use the Business Model Canvas and evaluate their ideas, Osterwalder created an app called Strategyzer. Using the Canvas format above, it lets you sketch out your business model and add estimated figures to calculate outcomes. “You can make a business model prototype in 10 to 15 minutes without ever opening Excel, and it lets you play around with different alternatives,” he says. Basically, you can see if something will work or not almost immediately. 1) Two of his customer segments are entrepreneurs looking to hash out their own models, and consultants who are constantly trying to devise workable models for other companies. 2) The business’ primary channel is the App Store since it is designed for iOS. 3) Using the estimator feature, he can throw in figures. For example, he estimates the total possible markets for both entrepreneurs and consultants to be the same — around 30,000. He decided to first experiment with the entrepreneur segment. 4) The cost structure includes the need to pay Apple 30% of all revenue for listing it in the App Store. 5) The revenue stream comes from selling the app with 30% subtracted. Because entrepreneurs will likely only purchase the app once, he believes they are willing to pay $29. 6) Adding in the element of time, he hypothesizes that he could reach 15% of his possible entrepreneur customer base in the first year. 7) With all of these facts and figures entered, including development costs, it’s clear that targeting entrepreneurs is not worthwhile to start. 8) Going back to the drawing board, he decides to focus on the consultant segment, and to use the web as his primary sales channel instead of the App Store to save on costs. 9) Because consultants are helping customers on a constant basis, a recurring revenue stream becomes realistic. This makes it logical to choose a subscription model. That way, he can charge less — $9 a month — and even if he only gets the same 15% market penetration in his first year, the estimates show the business will boom. In this case, he can conclude that recurring revenue through subscriptions is a better choice (at least to launch) than one-time app sales, and he can see the whole thing laid out before even developing the app itself. In this context, it’s critical that you find the right business model before you spend too many of your key resources on the wrong key activities. 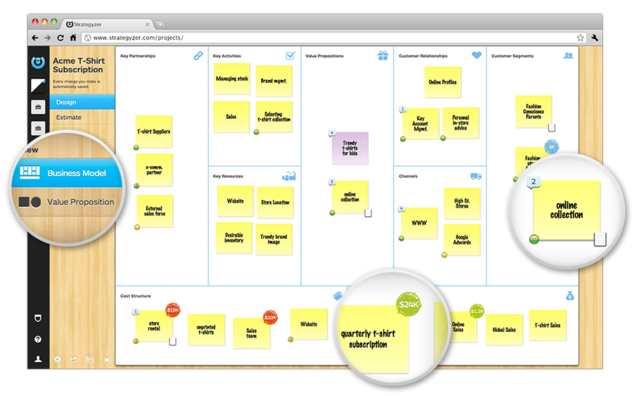 Strategyzer is just one of several apps that provide similar functionality using the canvas format. 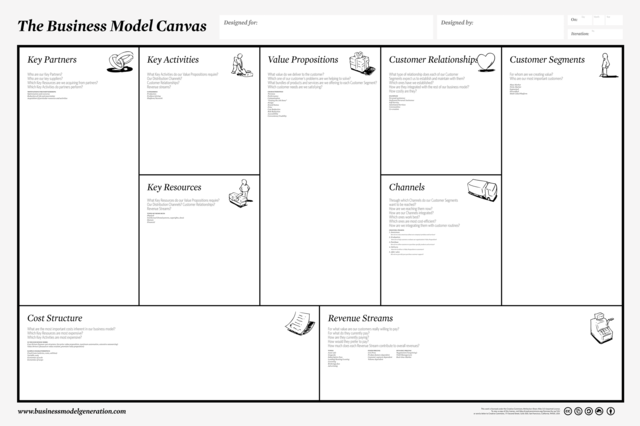 There’s also Canvas Model Design, Business Model Canvas Startup, and Lean Canvas. All of them share the ability to experiment and see how different ideas in different modules play off one another. “Prototyping is the conversation you have with your ideas,” Osterwalder says. “When you start trying things out, you get new ideas. You will naturally try something else." Something different. Something better. Click here to view the video of Osterwalder’s Stanford Entrepreneurship Corner talk featuring a cameo from Steve Blank.